The kite is an intermediary between heaven and earth. Kites have been used for thousands of years around the world. In fact, they have been used for so long that no one can say exactly who invented them. Kites have been used in history for fishing, lifting soldiers into the air during war, studying electricity, inventing airplanes, meteorology, and much more. Today, kites are well known for their entertainment value. Kites are an inexpensive and fun way for people of all ages to get outside and experience our world. They provide an opportunity to have a fun time playing with one of nature’s greatest forces – the wind. Kites come in many designs. The sled, box, delta, and diamond are a few of the classic designs. 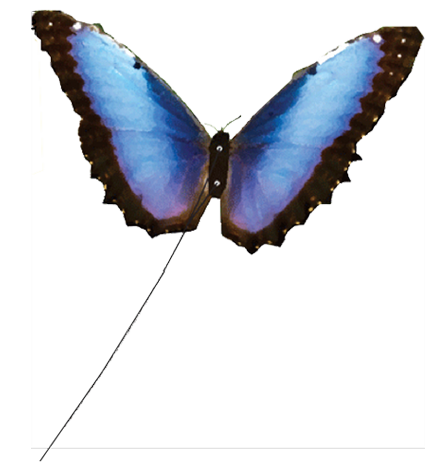 Some designs are also based on nature, with images of butterflies or birds. Kites are even used for sport. 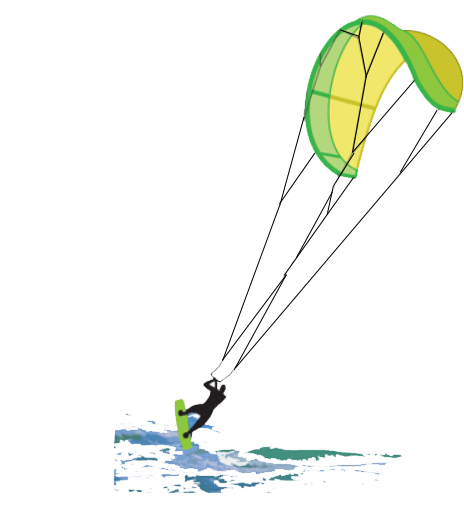 Kiteboarding or kitesurfing is done around the world. Competition kite flying involves beautiful movements through the air that are very calculated. Some cities host kite festivals, providing an opportunity to see many beautiful and unique kites. Find a breeze and take flight! 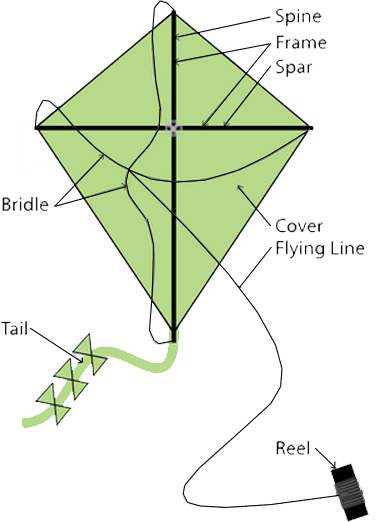 The diamond kite is one of the most recognizable kite designs. The diagram on the right illustrates the basic components of a kite: a structure, a flying line (tether) and a bridle line. Design and build your own variation of the diamond kite using paper, string, tape, and dowels or bamboo sticks. 36 inches and 40 inches (90 cm, 102 cm) are good lengths to use as a reference point for the spine and spar. Be creative with the kite cover! Design a kite, pinwheel, or windsock based on nature. 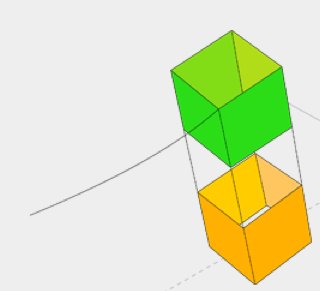 Select a creature that flies and design your flying apparatus based on that creature. What particular aspect of that creature is your source of inspiration? How does your bird, butterfly, or other insect take flight? How does it behave in flight? Or are you inspired by its color or shape? Sketch your design and note the connections between the inspiration and your design. Try to estimate how high your kite is flying. Get out and enjoy the wind! “As people who make kites help us see the wind, artists have the ability to help us see science.” Super Session. STEM to STEAM: The Meaning of Innovation. John Maeda. Forces acting on a kite are the same for all kite designs. 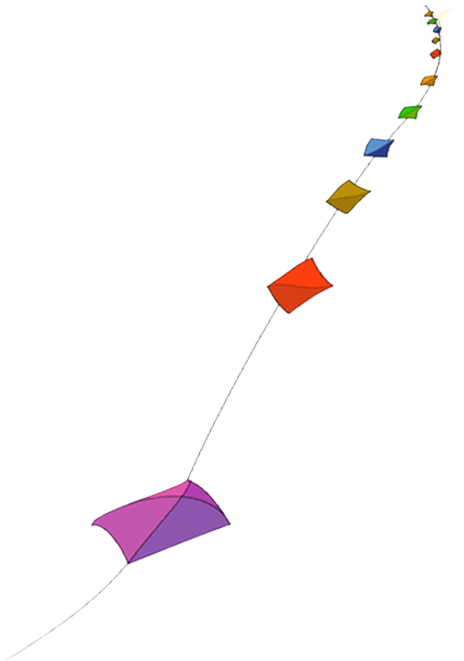 With the exception of thrust, the same forces acting on airplanes act on kites. Who used kites to help invent the airplane?